Hello again ! We're into school holidays now so I have a few things to share this week. Today I have a card that for Fathers Day. 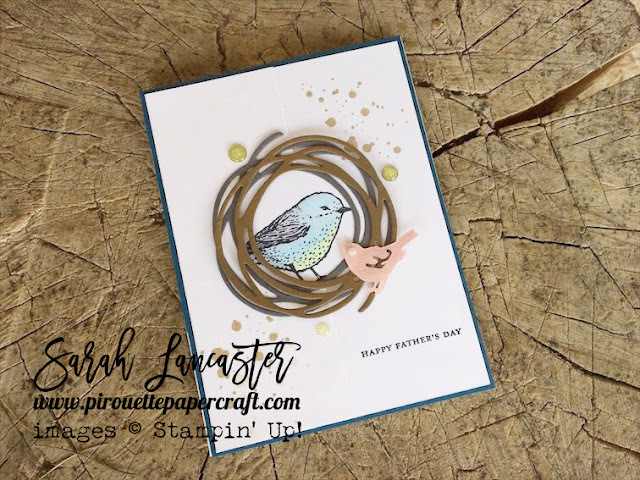 This uses the awesome Best Bird stamp set and Swirly Scribbles thinlits. This set is still in our Annual catalogue too. To my card I added the awesome ombre glitter candy dots for a little bit of bling. Bonus Days are Back !